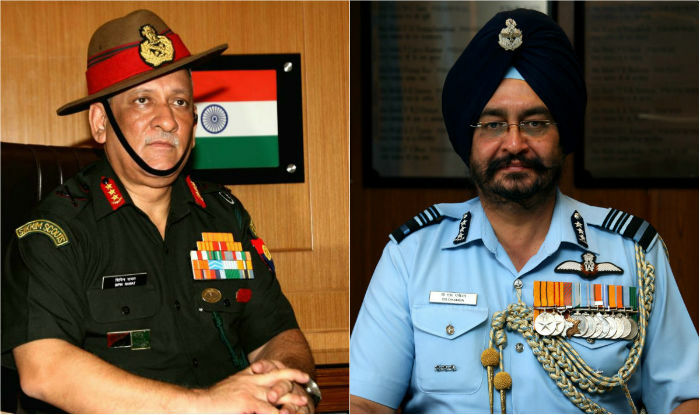 The government announced the appointment of Lieutenant General Bipin Rawat as the new Indian Army Chief and Air Marshal Birender Singh Dhanoa as the new Indian Air Force Chief. Rawat, who belongs to the 5th Battalion of 11th Gorkha Rifles, will take over from Dalbir Singh Suhag, while Dhanoa, a Kargil war veteran, will replace Arup Raha. The Maharashtra Assembly has unanimously passed a resolution of renaming the Elphinstone Road railway station to Prabhadevi and adding ‘Maharaj‘ to the Chhatrapati Shivaji International Airport. The resolution was moved by Chief Minister Devendra Fadnavis in the Assembly and got the support of all parties. These recommendations are awaiting approval from the central government. The government announced the appointment of Rajiv Jain as the new Intelligence Bureau Chief and Anil Dhasmana as the new Research and Analysis Wing Chief. Jain, a Jharkhand-cadre IPS officer from the 1980 batch, will take over from Dineshwar Sharma, while Dhasmana, a Madhya Pradesh-cadre IPS officer from the 1981 batch, will replace Rajinder Khanna. Rejecting the Jammu and Kashmir High Court’s assertion of the state’s “sovereignty” and “sovereign powers”, the Supreme Court ruled that J&K has no “sovereignty outside the Constitution of India”. The SC further declared that the Constitution of J&K is subordinate to the Constitution of India and that J&K residents are first and foremost Indian citizens. The shape of Nestlé’s four-fingered KitKat chocolate biscuit bar is no longer protected after a European court called for the trademark awarded to the food major to be invalid. This means that the KitKat shape can now be used freely by other European manufacturers. Chocolate maker Cadbury originally took the action in 2007 to demand Nestlé’s trademark be declared invalid. The NGT overturned the environmental clearance issued to the proposed solid waste management plant at Dundahera near NH-24 in Ghaziabad, Delhi NCR. The petitioner in the case had said that people staying around the site would have to live in unhygienic conditions if the plant was built. The NGT also cancelled UP Pollution Control Board’s clearance. Prime Minister Narendra Modi is reportedly scheduled to lay the foundation stone of the Pune Metro rail project on December 24. The project is expected to be completed in five years from the date of start of work, civic officials said. Reportedly, the NCP had demanded that party chief Sharad Pawar should lay the project’s foundation stone. Replacing BCCI chief Anurag Thakur, BJP National President Amit Shah has appointed party MP Poonam Mahajan as the President of Bharatiya Janata Yuva Morcha, BJP’s youth wing. Thakur had held the position for six years. Poonam Mahajan, daughter of former party leader Pramod Mahajan, had joined BJP following her father’s murder in 2006. She is currently the party’s national secretary. NASA’s Curiosity rover has detected boron for the first time on the surface of Mars. Scientists believe this indicates Martian groundwater may have had temperature, alkalinity and mineral content suitable for hosting microbial life in the ancient past. Boron and the clay deposits found near it underline the mobility of elements and electrons, which favours life, a Caltech professor remarked. National Geographic for the first time featured a transgender on one of its covers for January’s special ‘Gender Revolution’ issue. Avery Jackson, a 9-year-old transgender girl, is the cover star of the edition, with stories like ‘The Science of Gender’. “The best thing about being a girl is, now I don’t have to pretend to be a boy,” said Avery. Hosts Chhattisgarh emerged as the overall champions at the National School Games Championship that was held in Jagdalpur. Maharashtra was ranked second in the championships, while West Bengal was placed third. Jagdalpur was the host of the 62nd edition of the National School Games Championship, which saw participation of teams from several states. Indian boxer Vijender Singh retained his WBO Super Middleweight Asia-Pacific title after knocking out Tanzania’s Francis Cheka in the title fight in Delhi. Vijender has now extended his unbeaten run in professional boxing to eight bouts. The 31-year-old boxer knocked out Cheka in the third round to post his seventh knockout victory. 1. Who has been appointed as the new Indian Army Chief? 2. Who has been appointed as the new Indian Air Force Chief? 3. Which Mumbai road will be renamed as “Prabhadevi”? 4. Who has been appointed as the Intelligence Bureau Chief? 5. Who has been appointed as the Research and Analysis Wing Chief? 6. Which element has been detected for the first time on the surface of Mars by NASA’s Curiosity rover? 7. Which state has emerged as the overall champions at the 62nd edition of National School Games Championship?